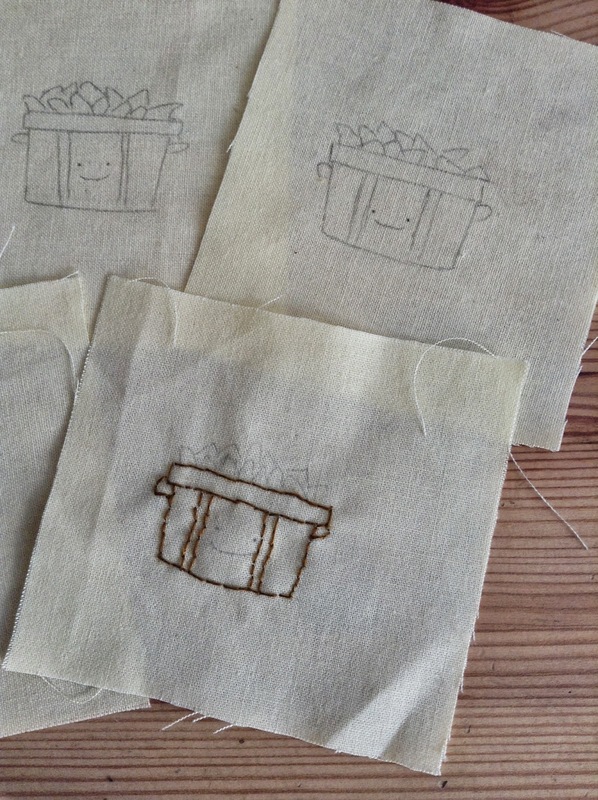 In September I joined an Autumn Stitch along, which has been organised by Wild Olive. 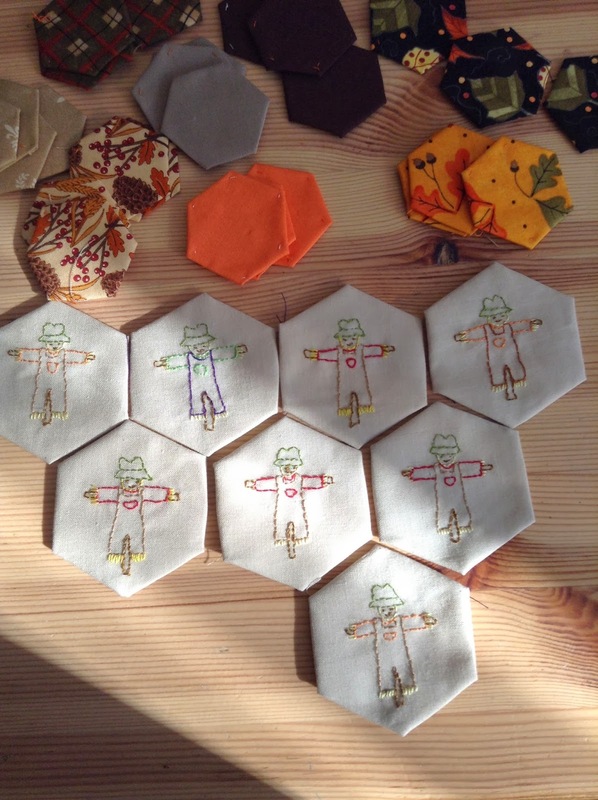 Through out September, October and November we are being sent tiny new patterns to embroider on to hexagons. 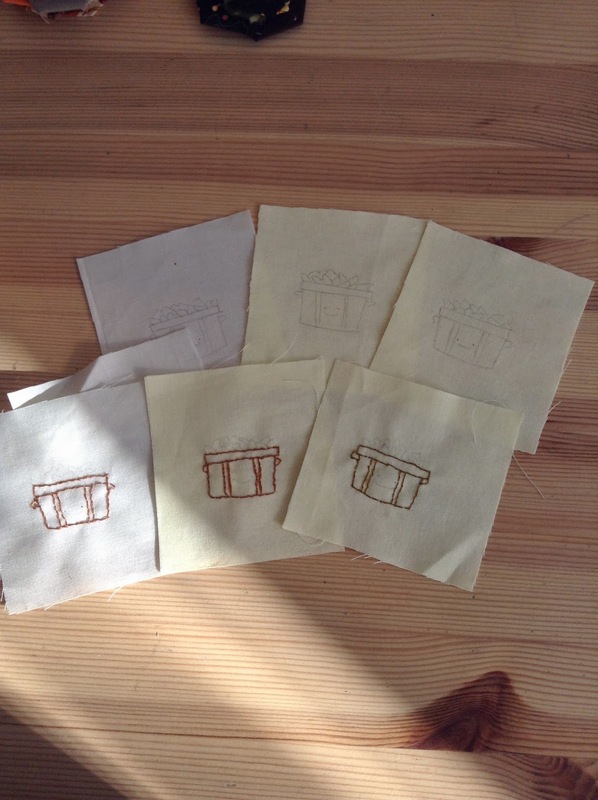 The finish project will be a cushion cover. 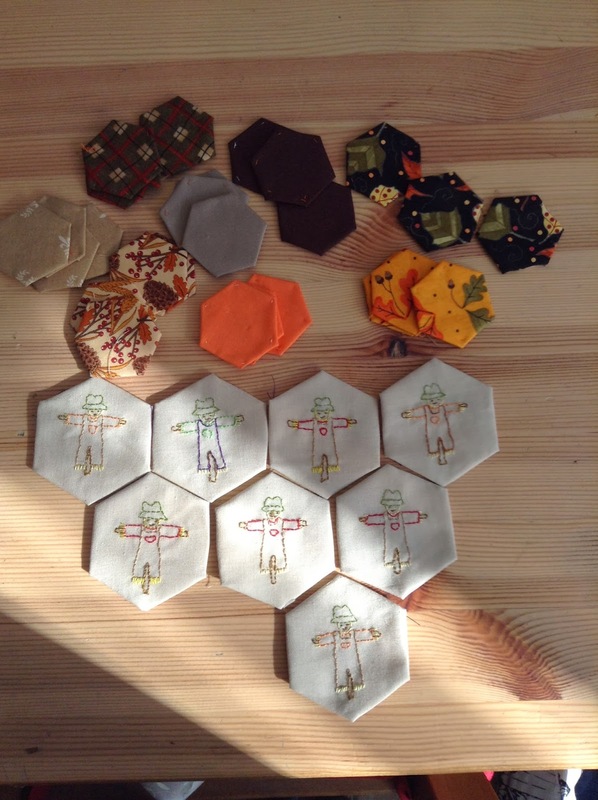 For this project we are all using English paper piecing for our hexagons. They are so cute that I thought I would show you where I am up too, But I am a lot behind......... never mind Rome was not built in a day. These are my scarecrows and they are stitched on larger hexagons. And we are adding plain smaller hexagons as well. As you can see there are lots for a cushion cover.......... This is because I have decided to make something else but I am not saying what yet !!!!!!!!! 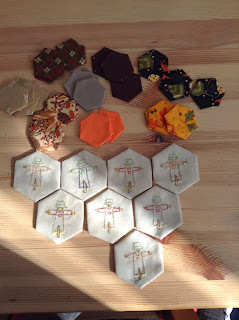 Its a surprise.... All my smaller hexagons are made from Autumn shade fabric as well. These are my baskets of leaves, I have decided to do 7 to 8 hexagons of the same design. So this is why its taking longer. But I don't mind. A closer look of my basket of leaves. Check out Wild Olive's site it is full of fabulous things to make and see. Oh I have slightly changes the colour on the blog as I fancied a bit of a change. These look great! I signed up for all three (so far) of Wild Olive's Stitching Clubs and managed to complete Summer, about to start Winter and will try to catch up with Autumn. September's block for quilts around the world.